How to ensure accuracy when mapping your fetched data to variables. 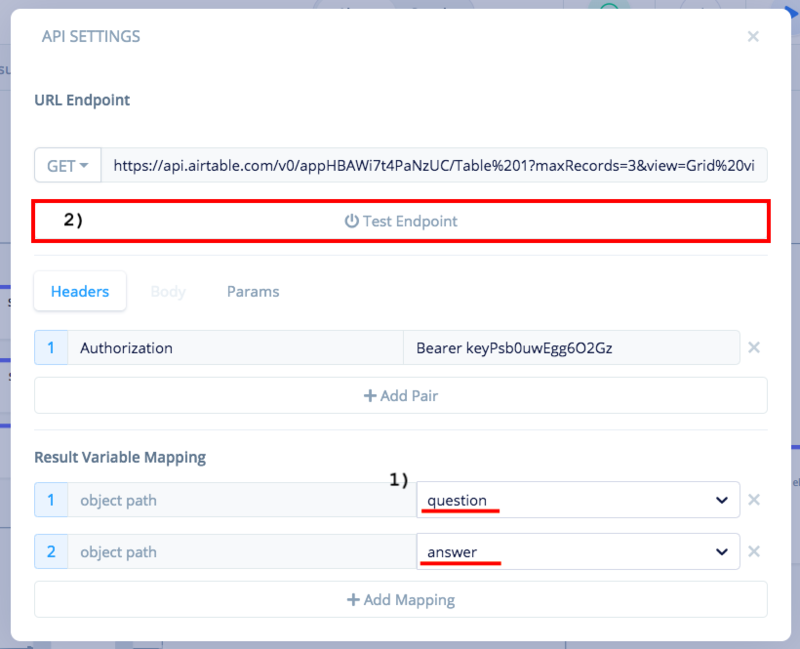 How to copy object paths directly from the 'Formatted' tab in the API block's test tool. When using the GET Request, you're able to map your fetched data to variables which can be used throughout your project; however, in order to do so, you must provide the object path for the specific piece of data that you're mapping. Many will type it themselves ⏤ but there's an easier way to do this! Note: This tutorial assumes that you already know how a GET request works. If you aren't familiar with the GET request, click here and come back! 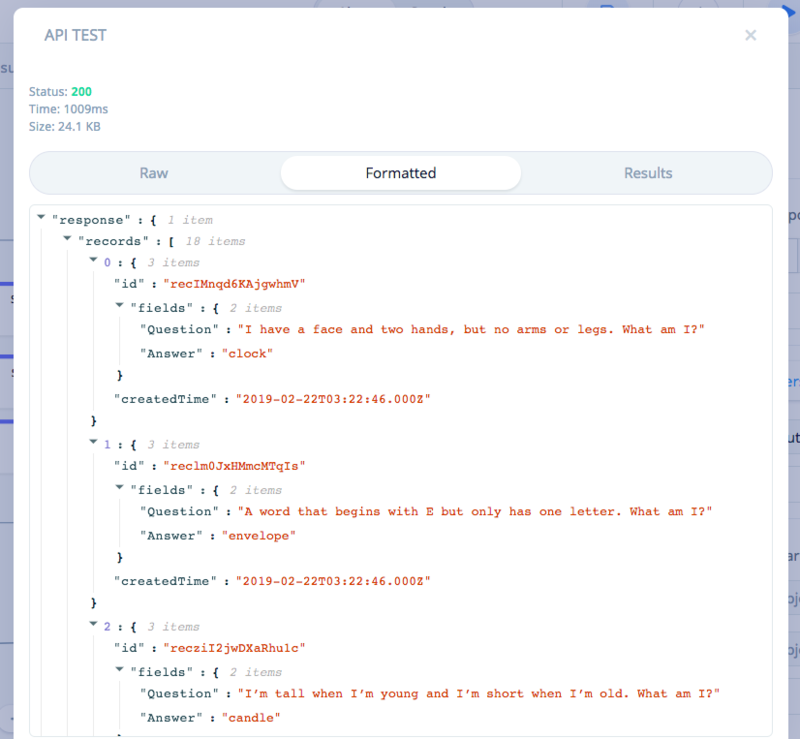 Navigate to the 'Result Variable Mapping' header and fill in the right side with variables you wish to store your API data in. Hit 'Test Endpoint' and navigate to the 'Formatted' tab. If you hover over the data you wish to store in your variable, a little blue clipboard should appear on the right-side of the data. Click this clipboard and the object path will be copied. In this example, I copied the question I wanted to store in the 'question' variable.